This week (August 2017), our forecast room meteorologists have some visitors. Our current group of trainee meteorologists are sitting in on some shifts to get a feel for what real-time forecasting is like day to day. 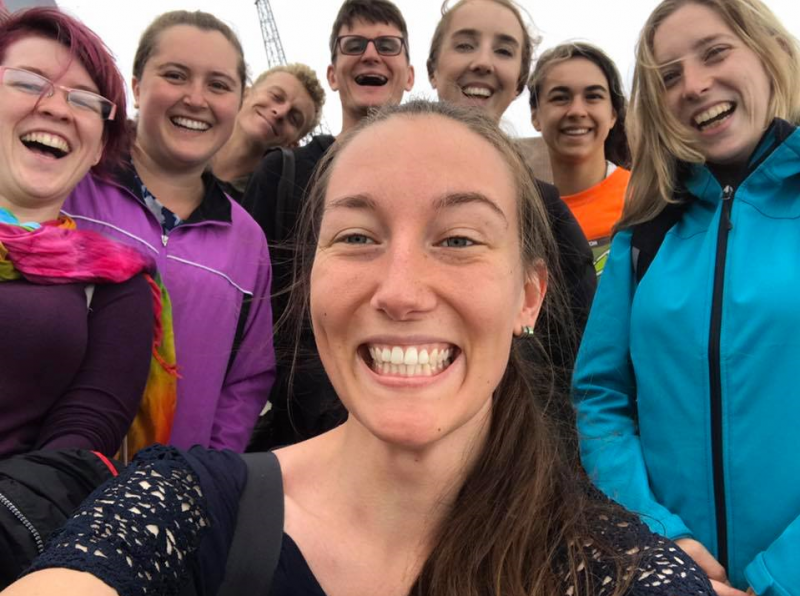 This is part of their training, which began in January 2017, and will finish at the start of next year. On Sunday, 16 July 2017, artist and master carver Dr Clifford (Cliff) Hamilton Whiting of Te Whanau-a-Apanui (ONZ) passed away at the age of 81. What makes a cold night? Written by April Clark, Meteorologist. The days are getting shorter and winter is indeed coming, but a burst of air from the tropics is set to affect New Zealand in the coming days. 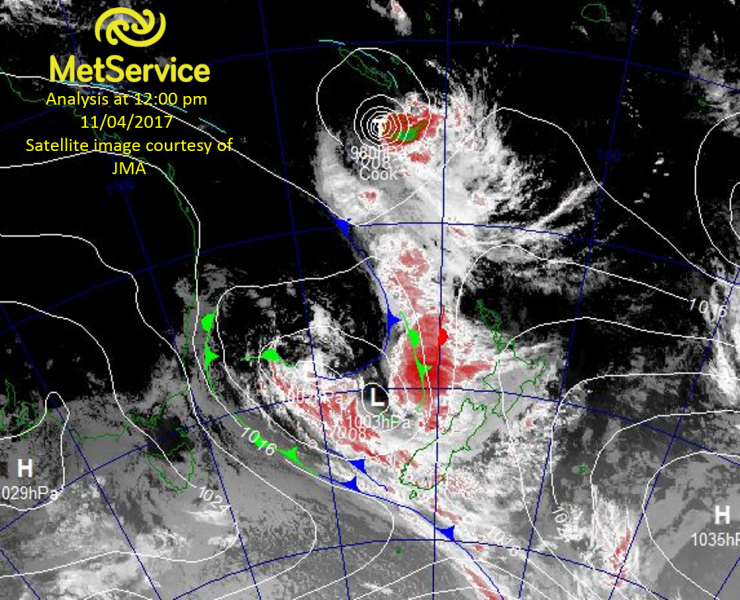 A combo of a Low in the Tasman Sea dragging a lot of humid, sub-tropical air down across New Zealand and the remains of Tropical Cyclone Cook tracking southwards are expected to bring heavy rain, heavy swells and possibly strong winds. Each year meteorologists around the world celebrate a chosen theme to commemorate the anniversary of the founding of the World Meteorological Organization (WMO) on the 23rd of March in 1950. “Understanding Clouds” is the theme of World Meteorological Day this year, to highlight the enormous importance of clouds for weather climate and water. New MetService Weather App on its Way! 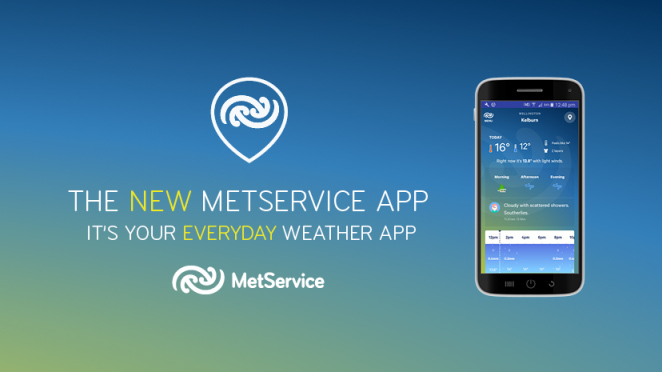 MetService is completely re-developing NZ's most popular weather app. The app has been developed from scratch, with a new design, navigation and functionality. In contrast to the existing Towns and Cities App which has been in market for five years, there will be no charge to download it on iPhone or Android phones. It will instead be supported by advertising.